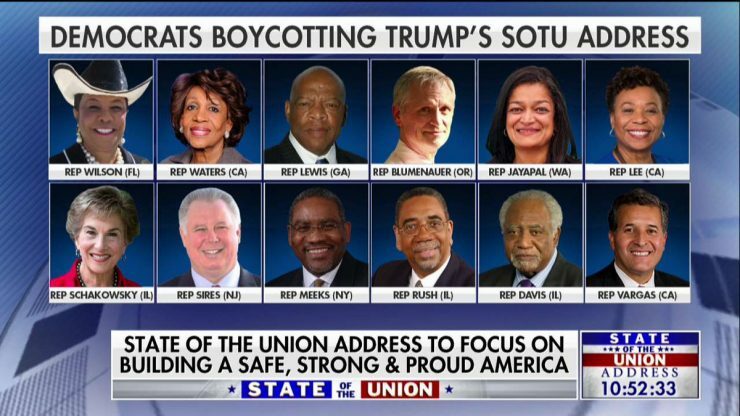 Twelve Democrats (so far) have announced they will be boycotting President Trump’s State of the Union speech tonight. One of the Democrat’s boycotting President Trump’s speech is Rep. Jan Schakowsky of Illinois. You might remember her as the wife of Bob Creamer, the felon James O’Keefe caught on video organizing violence against Trump supporters at rallies during his campaign against Hillary Clinton. Six of the twelve Democrats boycotting President Trump’s SOTU speech are members of the Black Caucus, who were all caught on video embracing one of the most openly hateful racists of our time, Louis Farrakhan of the Nation of Islam in a newly released video. 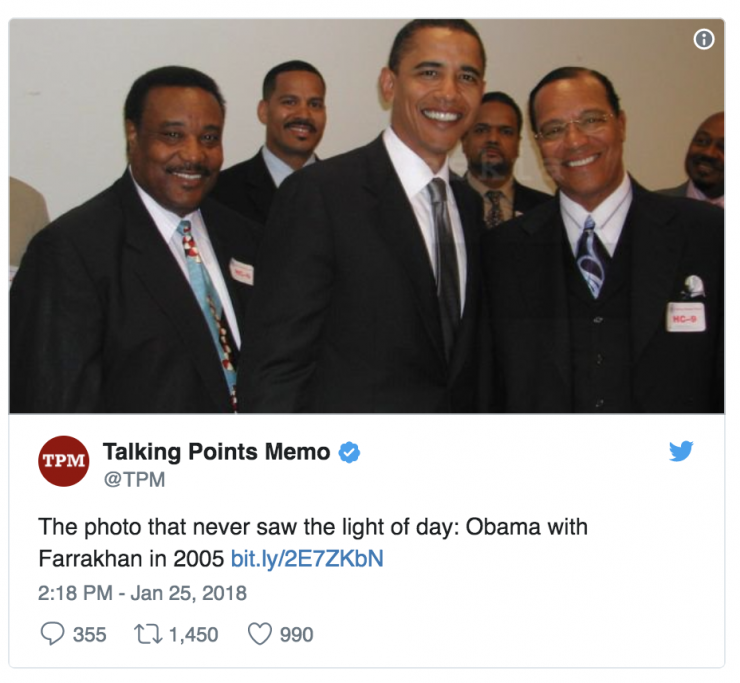 President George W. Bush’s former Press Secretary Ari Fleischer admonished the six Black Caucus members who are boycotting Trump’s State of the Union, but were “fine” about meeting with Farrakhan, but not sitting through the elected President’s SOTU. 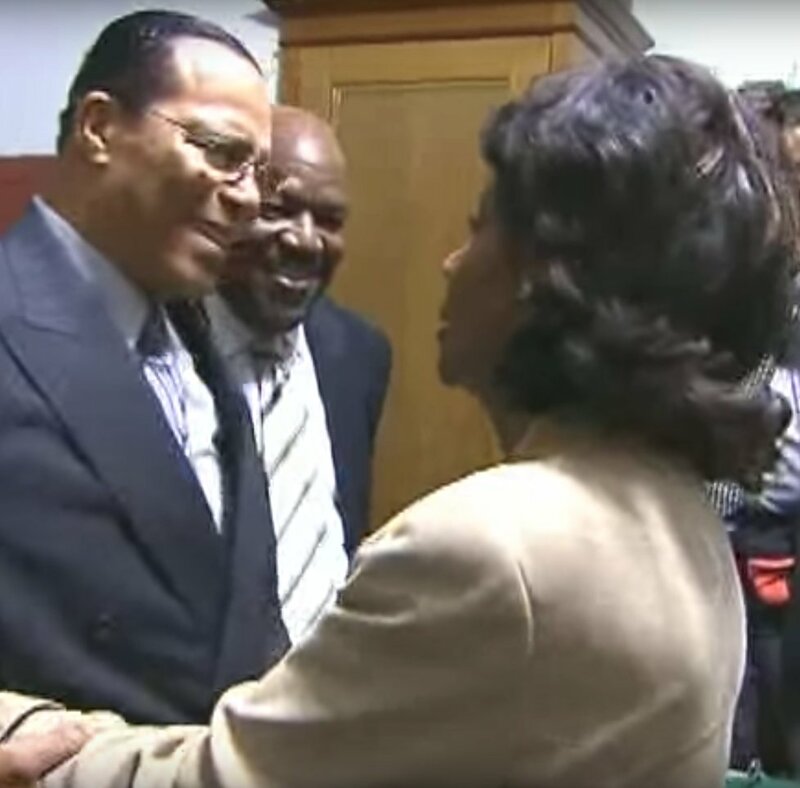 The Daily Caller published screen shots taken of each Black Caucus member who will boycott President Trump’s SOTU speech tonight, but had no problem embracing a man who has made a career out of using his Islamic faith to preach hate against Whites and Jews. The woman who screams “Impeach Trump” almost every time she opens her mouth, and had made several attempts at trying to label President Trump as a “racist” with absolutely no evidence, Democrat Black Caucus member, Maxine Waters is seen hugging one of the most notorious racists in America, Louis Farrakhan. 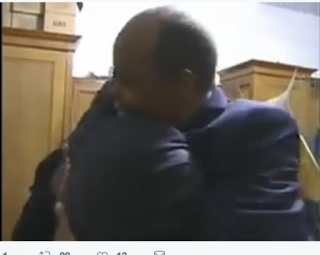 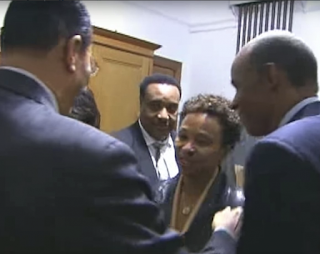 Here are a few more Democrat Black Caucus members seen hugging race baiter and hate mongerer Louis Farrakhan.